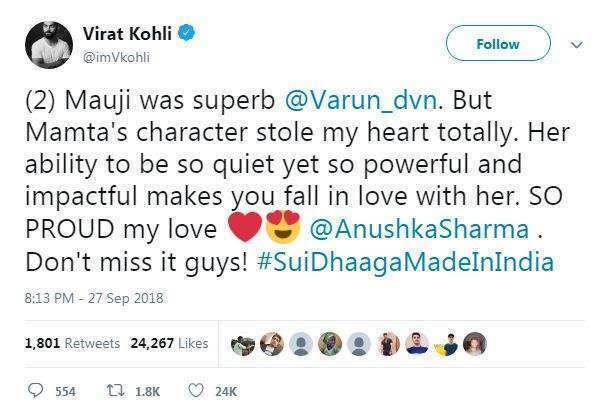 Anushka Sharma and Varun Dhawan starrer ‘Sui Dhaaga- Made In India’ finally released today and is already receiving positive response from the audience. A special screening was held for the B-town folks a day before the official release of the film. Those who’ve seen the film can’t stop raving about it. 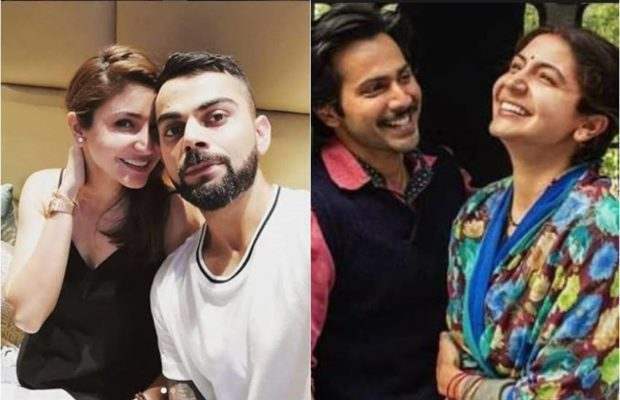 But one review which takes the cake is that of Anushka’s hubby Virat Kohli’s. Virat attended the special screening and then reviewed the film. The cricketer took to Twitter and posted a mini-review. He appreciated the film and performances by Varun and Anushka. 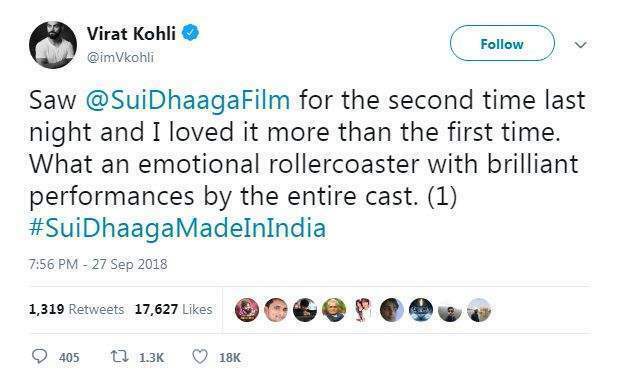 He tweeted, “Saw @SuiDhaagaFilm for the second time last night and I loved it more than the first time. What an emotional rollercoaster with brilliant performances by the entire cast. 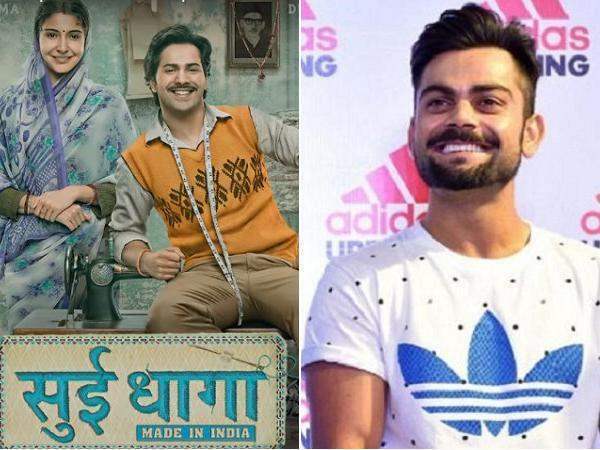 (1) #SuiDhaagaMadeInIndia”.